Sometimes I really wonder if restaurants just don’t want to make any business. I mean, being a waiter is for sure not always a great job, and being bossed around by customers can definitely become annoying at some point in time. However, frankly speaking, if you are uncomfortable with this, maybe care to do another job? 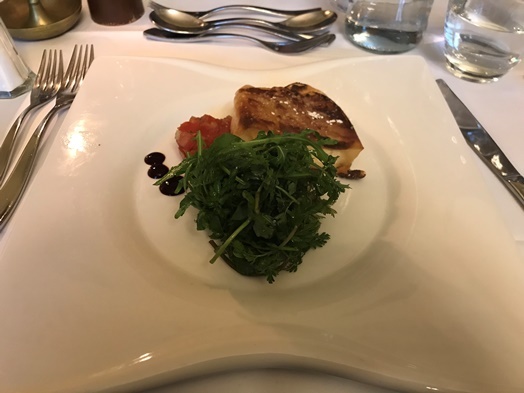 In any case, we had a company event and things were pre-ordered, so I went for the “goat cheese in dough, served on tomato tatar” which came with a huge piece of rocket leaf salad. And it was okay. 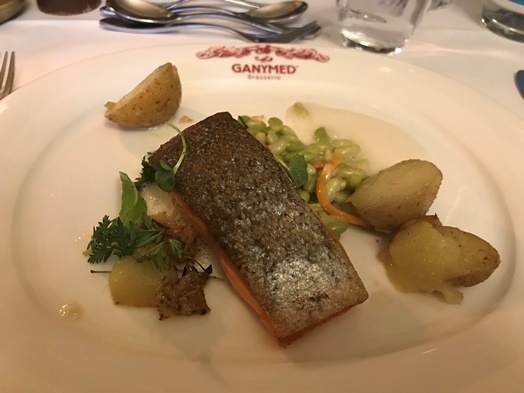 The “grilled sea trout filet served with beans, thyme and roasted rosemary potatoes” was decent but the portion was rather small was missing seasoning. 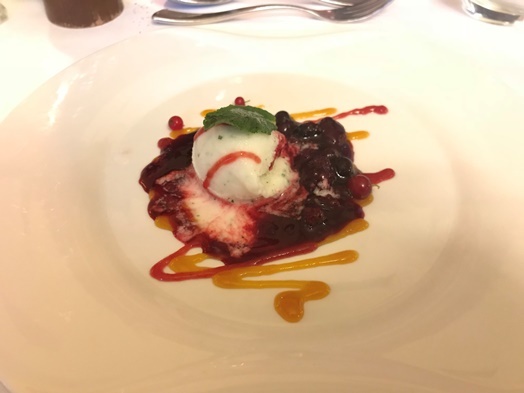 The “mint and citric fruit sorbet on vanilla berries ragout” was fine but the sorbet was not entirely satisfying as – from a consistency perspective – it was almost falling apart. While the dishes were acceptable, the service wasn’t. The head waiter was unfriendly, basically ignoring us as guests and when we asked for more drinks, and be it even for water, he decided to just kind of not see us. Which is frankly – even if we are in Berlin – not the way how things should be.